I don’t remember exactly how it began. 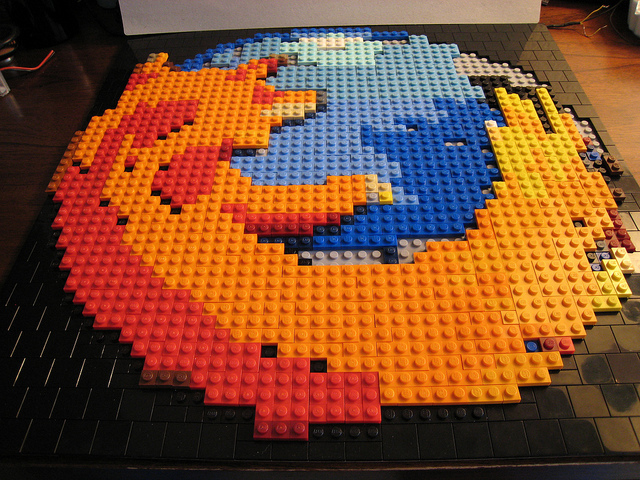 I discovered a few surprising parallels to Firefox (the project) in the course of building this. 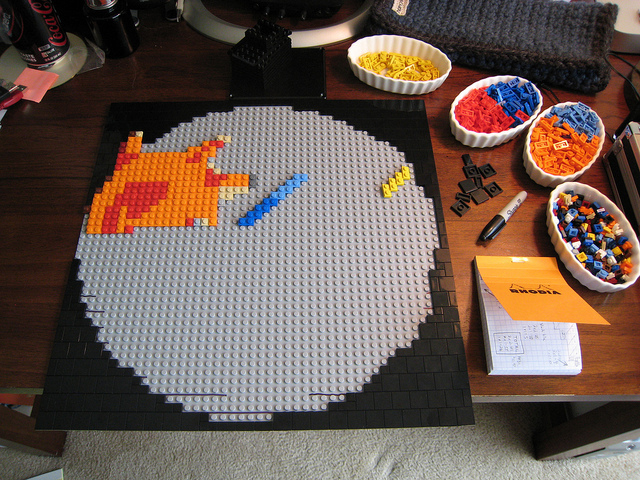 Most importantly, the Lego community was absolutely essential. The Lego company has a neat “Pick-A-Brick” service, which lets you order a custom assortment of parts, but the selection is limited to what they currently manufacture. 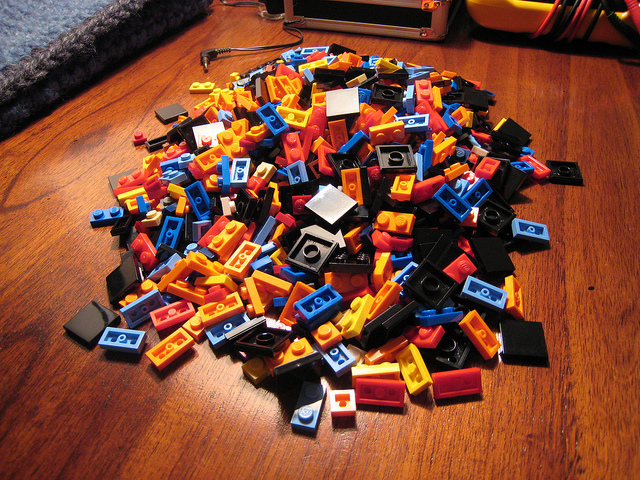 So I turned to the Lego community’s BrickLink site — essentially an EBay for Lego. 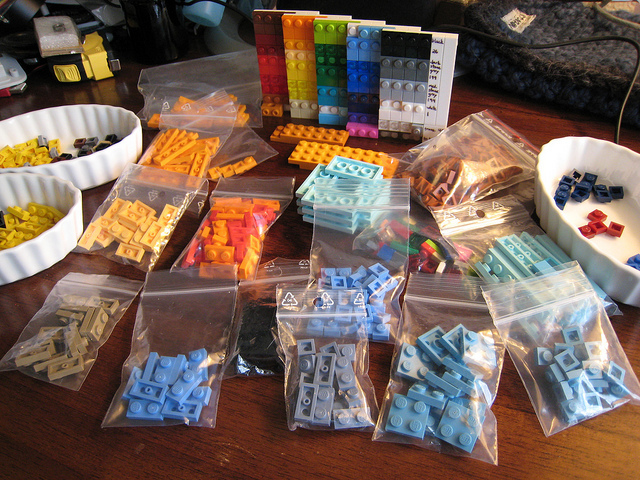 A huge variety of parts are available, including older shapes and colors which are no longer made. 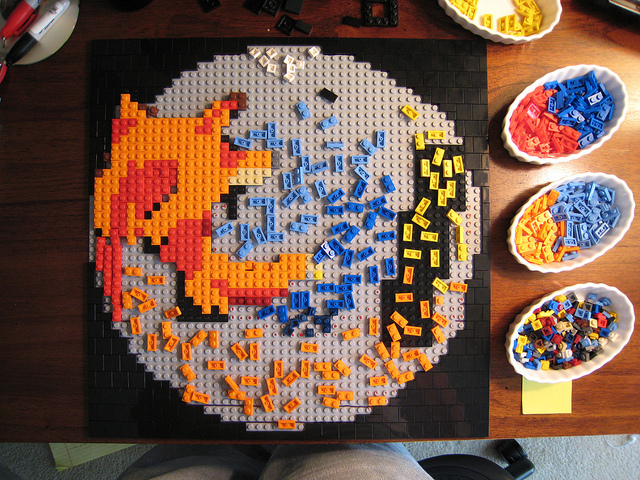 By the time I completed the mosaic, I bought over 700 pieces through Bricklink, from sellers in the US, Europe, and the Far East. These comprise a large portion of the finished work. First thing I did was to create a color palette. 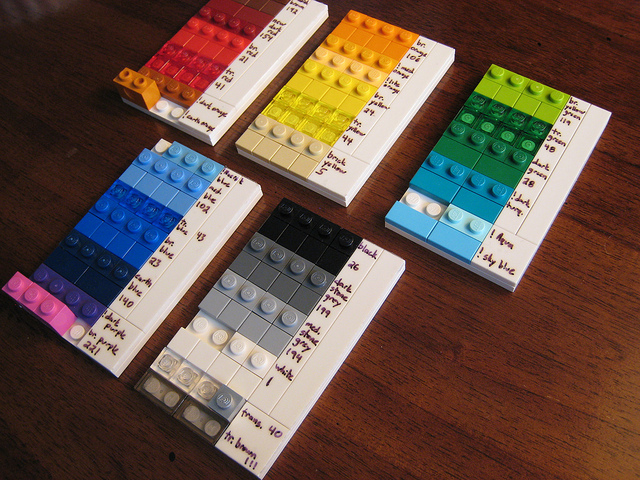 I wanted to see how the limited variety of colors worked together, so I ordered (via Pick-A-Brick and BrickLink) a few of every color available in 1×1 or 1×2 plates. Mostly complete… I thought. Turns out the hardest part to get looking good was the tail, and there was a lot more fiddling to be done! Yes, like any fine Thanksgiving meal, there were leftovers. Mostly because I didn’t want to pay shipping for additional tiny orders, but also because it was hard to preplan the exact design and I knew I would be adjusting it. This was a useful guide, but also flawed. 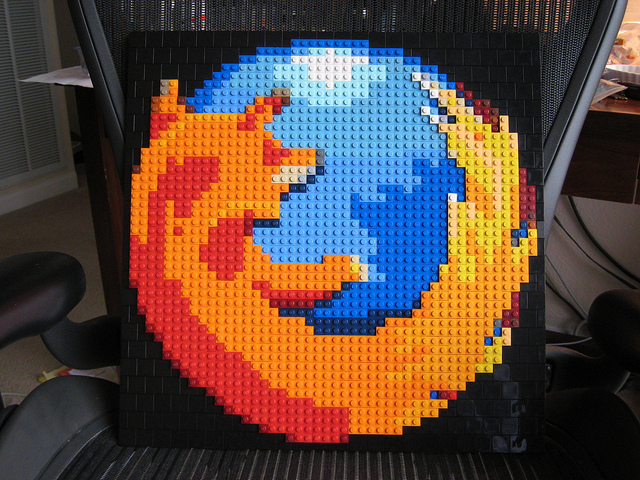 Some of the colors it chose might make sense mathematically, but wouldn’t look good in reality (eg, the lime green squares in the Firefox tail). Also, some of those colors it used were never made (or are unavailable anywhere) in 1×1 or 1×2 plates. 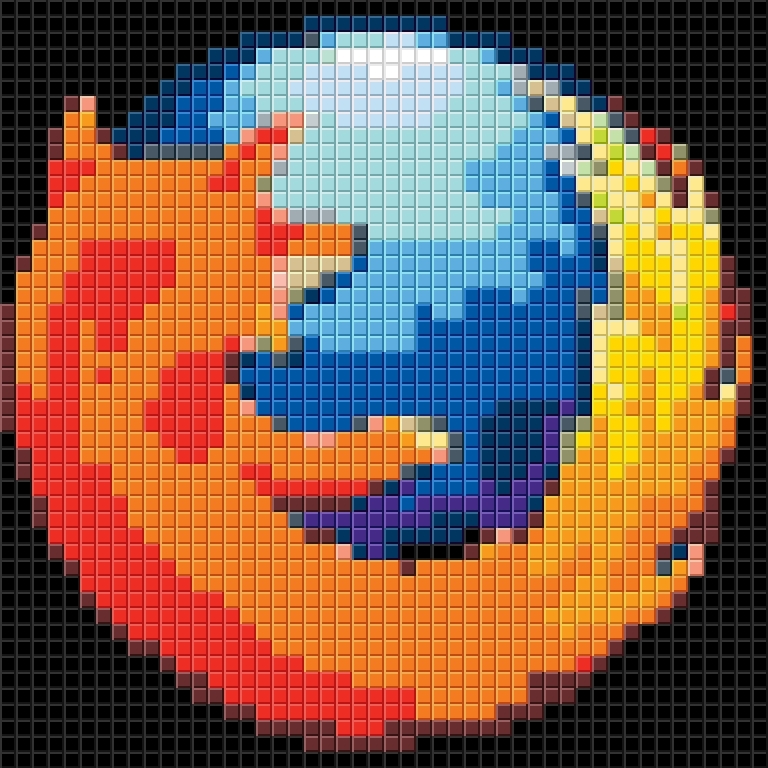 So I used it as a basic map, but most of the detail work was done by zooming in on a official 48×48 Firefox logo, and selecting placement and color by eye. I’m quite pleased with the final result; I just hope the Firefox logo doesn’t change again or I’ll have to build another!